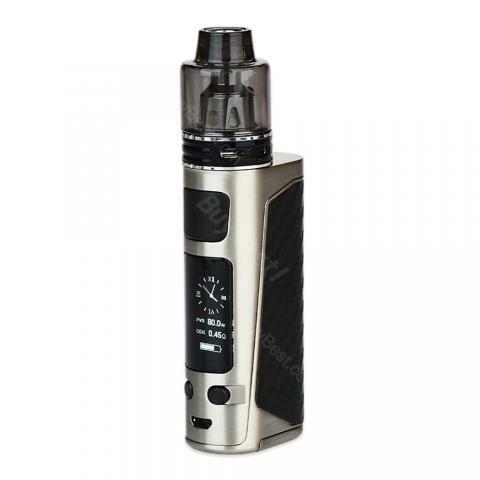 The compact Joyetech eVic Primo SE kit comes with an 80W eVic Primo SE box mod and a 2ml ProCore SE sub-ohm tank. The eVic Primo SE supports max 80w output power, various working modes and preheat function. The ProCore SE comes with ProCore series heads, which brings balanced flavor and clouds. Joyetech eVic Primo SE Kit is a portable vaping device that combines an 80W eVic Primo SE box mod and a 2ml ProCore SE sub-ohm tank. The eVic Primo SE mod is powered by a single 18650 box mod, featuring various working modes, 2A fast charging current, preheat function, custom logo, real time clock and multiple protections. The ProCore SE tank has an integrated full glass tube, bottom fill & airflow control system and ProCore series heads for DL/MTL inhales. Joyetech eVic Primo SE Kit is good choice for both flavor and cloud chasers. • The replacement eVic Primo SE TC MOD and ProCore SE atomizer are available in BuyBest. Compact, portable, good looking... this evic fulfills me in every needs, and the silver is gorgeous. Vey classic looking. I am not a fever for MTL but primo kit brings me more experience. BTW, their shipping is very quick. Light and small, I'd like to carry it with me when I go out. Thanks to Joetech, excellent product.